This month on the Vanguard "Raise Your Glass" podcast we're talking with Bob Kaleta, the Product Marketing Manager for Optics, Hunting and Outdoors. 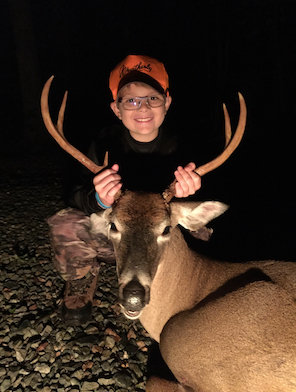 First, Bob describes a recent hunting trip when his son was able to shoot his first buck. Bob says it was a very rewarding adventure for both of them. Then Bob turns his attention to the new lineup of Vanguard products to be released at the upcoming SHOT show. He describes the new rifle scopes soon to be available and also the exciting new Vesta binoculars and spotting scopes. The monthly podcast from Vanguard Outdoors. Cutting edge products, made for your hunt.